Lucian Mocan is Associate Professor in General Surgery (Digestive Oncologic Surgery) at 3-rd Surgical University Hospital-“Prof. O. Fodor” Gastroenterology Intitute Iuliu Hatieganu University of Medicine and Pharmacy Cluj-Napoca, Romania. He is also the vicepresident of Romanian Society of Nanomedicine, cofounder of the Nanomedicine Department at 3-rd Surgical Clinic. Among clinical studies in the field of digestive surgical oncology, during the last three years, Dr. Mocan’s research was also focused in the area of nanotechnology, bio-nano-medical research, nano-toxicology, cancer visualization and treatment by bioconjugated nanomaterials with priority on the selective laser ablation and optical damage of the pancreatic and liver cancer cells by antibody functionalized nanoparticles. During the past decade advances in functionalization chemistry have been one of the driving forces in the development of new classes of novel nanomaterials for applications in biology and medicine. Despite the impressive scientific efforts towards the development of novel nanomediated therapies, at the current time there is a tremendous need for standardizing cellular and molecular protocols used in Nanomedicine. this is the first attempt to gather in a single book the most common molecular techniques used in Nanomedicine. Since Nanomedicine field is expanding and becomes part of the curricula in many universities, the present book with protocols will be extremely useful for the researchers, students and medicaldoctors. 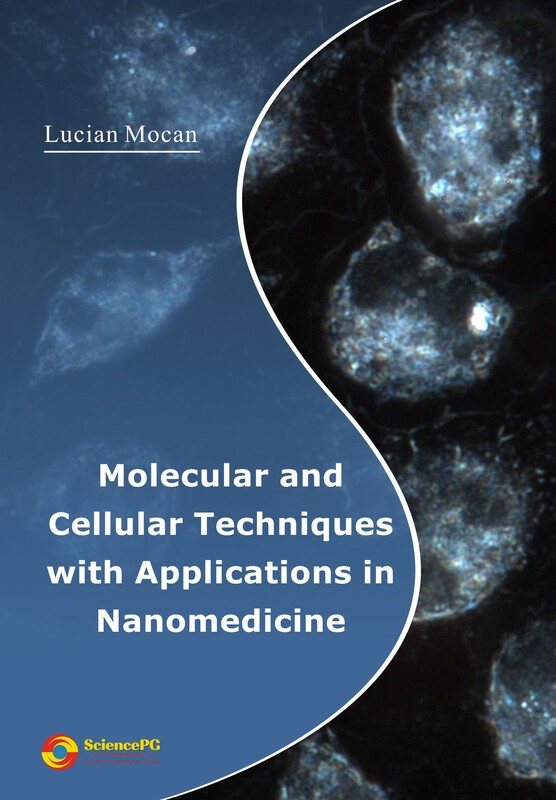 This book intends to publish the most common cellular and molecular techniques (presented in a reproducible manner) used in Nanomedicine (at the interface of nanoparticles with biological systems).